This is a quick read and has me wanting more. Beth and Clive are likeable characters, charming together. Beth's quick acceptance of Clive's shifter side made it easier to enjoy. I could have used a bit more story, but what there is makes an interesting read. This is my unsolicited review. The Silent Corner is a bit of slow starter, but the author's talent for compelling prose draws the reader in. As the story progresses and our heroine gets deeper and deeper into a conspiracy that is both massive and terrifying, the pace picks up and makes this tale impossible to put down. One woman against the mysterious Them (with a capital T), Jane Hawk's story moves from one terrifying clue to the next, leaving her with few options and even fewer people to trust. Being the master of paranoia that he is, Dean Koontz plays on the 'what if' niggling voice in us all - What if They could do that? - and builds a horrific world where things aren't always what they seem. True-to-form, the story builds in suspense and action until the author leaves us in jaw-dropping anticipation of the next piece of the puzzle in Jane Hawk's journey for justice. This is a reunion story of sorts. Kassie and Cole met before for one night, creating a connection. Cole is damaged hero and a shifter, and had me rooting for him as he found his way to a reason to live. Kassie is a strong human woman doing what she thinks is best and working hard to get there. Her persistence made her a good character to follow. As the danger of his past tugged at them, I enjoyed the growth of both characters. It is not necessary to read the prequel, but a few things are explained a bit more clearer there. I read both and was glad to have taken this journey. This is a very short story to set up the next one. I just felt that I did not get enough time to know the characters. Norah and Abram have to make a decision for their future which goes against the clan and then have to make an even tougher decision. Their love came with friendship as well as a soul-deep connection, which had me rooting for them to succeed. 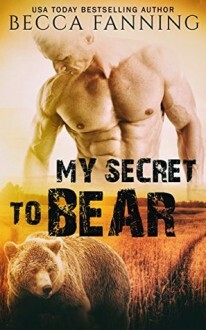 This prequel to My Secret to Bear tells the story of Norah and Abram and how Cole came to be. It's fast-paced and full of action and danger as Norah and Abram race through the wilderness to find a safe place for their son. It's a story of love, loss, and a parent's sacrifice. This novella length read does a nice job of setting up the plot and backstory for Cole and Kassie's story.